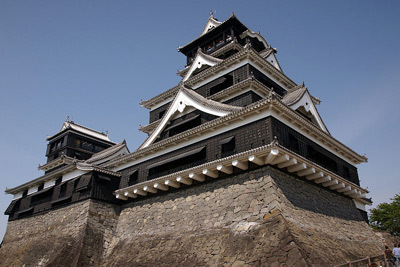 The castle town of Kumamoto (pop. 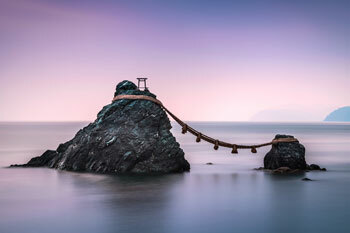 653,000) is conveniently located, about halfway between Shimonoseki (North) and Kagoshima (South), or halfway between Nagasaki (West) and Beppu (East). 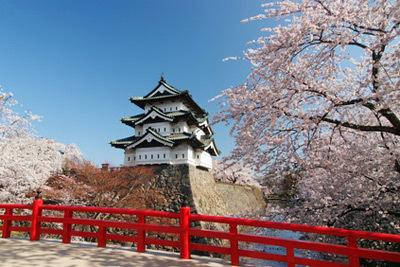 The city is famous for its castle, one of Japan's best garden, and the local speciality, raw horse meat ("basashi" 馬刺し). The Kato clan was given the fiefdom of Kumamoto for its support in the establishment of the Tokugawa shōgunate. The first daimyo, Kato Kiyomasa, ordered and designed the construction of the castle, one of Japan's largest and most sophisticated. He also initiated a series of public works like flood control and land reclamation. 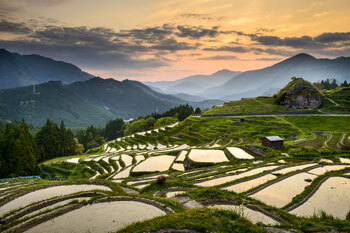 In 1632, a political intrigue removed the Kato family from power in favour of the Hosokawa clan. Kumamoto remained under their rule and thrived as a major government stronghold until the Meiji restoration, until the abolition of feudal holdings in 1871. 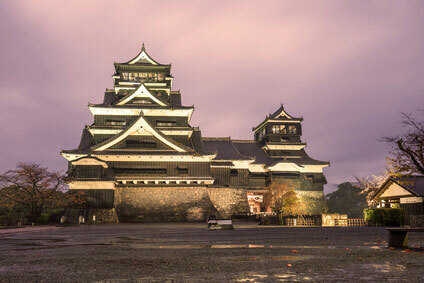 Erected between 1601 and 1607, Kumamoto-jo was one of Japan's greatest castle. It counted 49 turrets, 18 turret gates, 29 castle gates and 120 wells in its heydays. 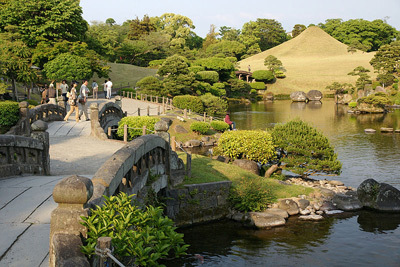 The outer citadel, now converted into the Ninomaru park, have a circumference of 13km, and the inner walls 5km. The walls were built with a backward curve to prevent assailants from climbing. These were known as nezumi-gaeshi (鼠返し) or musha-gaeshi (武者返し), meaning that they could repel warriors or even mice from ascending them. However, the castle was severly damaged by Saigo Takamori 55 days siege during the 1877 Satsuma rebellion. Most buildings were burnt to the ground, and left in ruins until 1960, when the government reconstructed the present structure in concrete. The castle is open from 8:30am to 5:30pm from April to October and from 8:30am to 4:30pm the rest of the year. Admission is ¥500 (¥200 for the grounds and ¥300 for the dungeon). Suizen-ji is considered one of Japan's finest garden, competing with the "official top three gardens" : Kairaku-en (Mito), Kenroku-en (Kanazawa) and K?raku-en (Okayama). 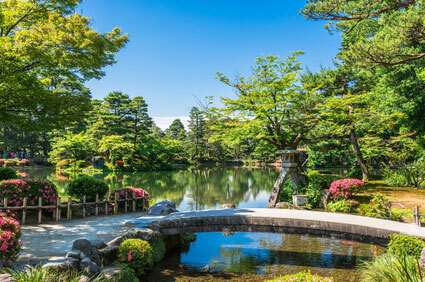 The garden was laid between 1632 and 1640, under the supervision of three successive Hosokawa lords. 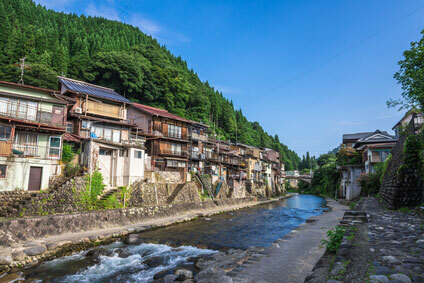 The extensive grounds are covered by undulating lawn, gravel paths, bridges, ponds with koi, shrubs and pine groves, altogether representing the 53 stations of the Tokaido road, which joined Kyoto and Edo during the Tokugawa period. 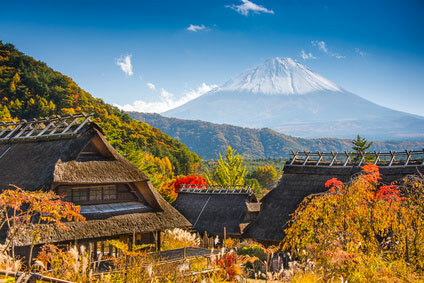 Visitors will recognize the miniature Mount Fuji and Lake Biwa (in the shape of the instrument) easily, while others geographical locations are less evident. 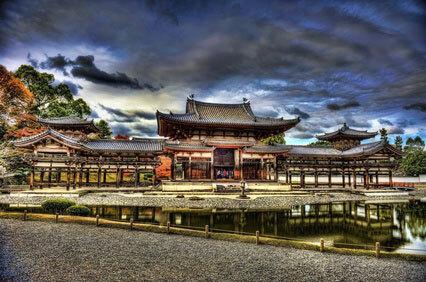 Note the Kokin Denju-no-Ma (古今伝授の間), a teahouse imported from Ky?to in 1912 and sits remarkly across the pond of Suizen-ji. The garden is open from 7:30am to 6pm from March to November and from 8:30am to 5pm the rest of the year. Entry is ¥400. There are only direct trains between Kumamoto and Fukuoka (1h20min, ¥2,070) and Beppu (2h50min, ¥3,150). Trains to Kagoshima (1h, ¥3,150) require a change at Shin-Yatsushiro, while those to Nagasaki (2h30min, ¥3,880) pass through Tosu. 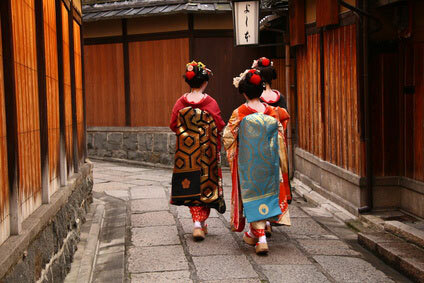 JAL and ANA both have flights between Kumamoto and Tokyo (Haneda), Nagoya (Chuubu & Komaki) and Osaka (Itami). ANA also flies to Okinawa. Kumamoto Airport is 55min from the city centre by train (¥670).